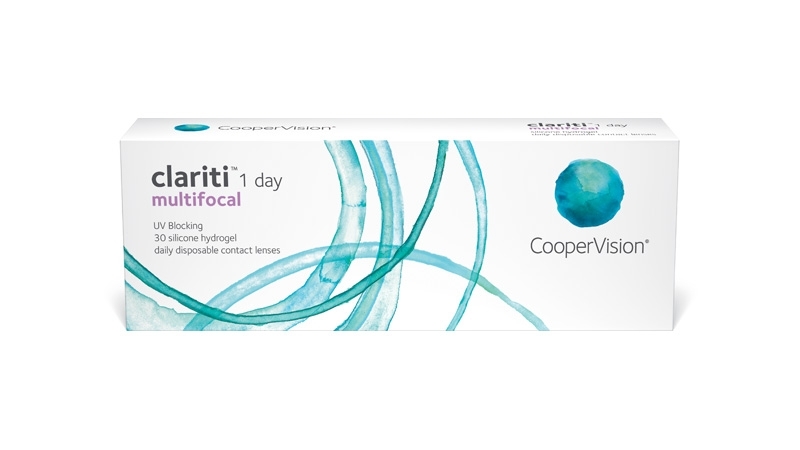 Clariti® 1day from CooperVision( ex SAUFLON.) Words first silicone hydrogel, daily disposable contact lenses for presbyopia.The convenience of a new fresh sterile lens every day. Made from the healthiest material (silicone hydrogel), allowing oxygen to pass through to your eyes helping them stay clear, white and healthy. The healthy characteristics of the silicone hydrogel material allows lenses to be worn from morning until night which better suits the demands of the modern lifestyle. Advanced Edge Technology provides a lens edge that is incredibly thin reducing lens awareness and improving comfort.